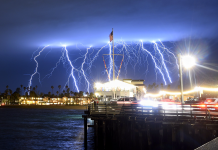 Nearly 40,000 lightning struck Los Angeles, Santa Barbara, San Luis Obispo and Ventura counties, between Sept. 10-11. 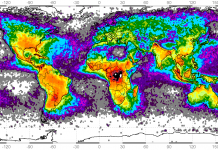 The electric volatile storm was most active on Sunday with an amazing 5,000 lightning bolts in the area over a three-hour period. 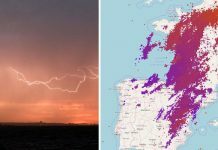 A volatile storm produced nearly 40,000 lightning strikes between Sunday and Monday. 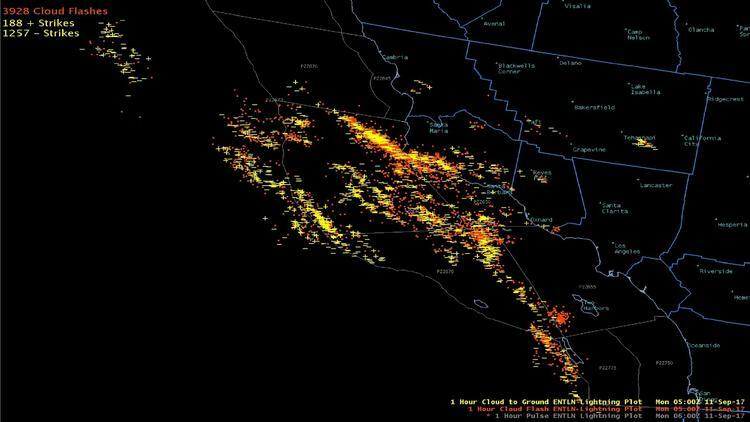 The lightning and in-cloud flashes were observed in the last 24 hours over Los Angeles, Santa Barbara, San Luis Obispo and Ventura counties, with the most activity occurring Sunday evening. Although the storm brought plenty of lightning, but almost no rain, with the greatest rain total of .44 inches at Sudden Peak on Sunday. By Monday morning, heavy showers, thunderstorms and 35-mph winds were reported in eastern Los Angeles County.